In broad strokes, most biblical scholars agree that the “kingdom of God” means the dynamic rule or reign of God. The reign involves God’s intentions, authority, and ruling power. It doesn’t refer to a territory or a particular place. Nor is it static. It’s dynamic— always becoming, spreading, and growing.4 The kingdom points us not to the place of God but to God’s ruling activities. It is not a kingdom in heaven, but from heaven—one that thrives here and now. The kingdom appears whenever women and men submit their lives to God’s will. … Although a kingdom is a social order beyond any person, indi­viduals do make choices about kingdoms. We embrace or reject them. We serve or mock them. We enter kingdoms and leave them. We pledge our allegiance to them and turn our backs on them. Today we would like to write about someone who in his own unique way made such choice and submitted his life to God’s will, Fr. James Otis Sargant Huntington. His was commemorated yesterday in the Episcopal Church. 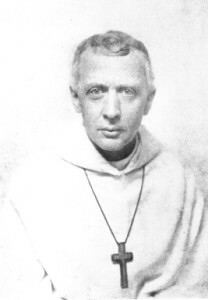 James Huntington, at his funeral called by the Presiding Bishop “the best loved priest in the Episcopal Church”, was born in Boston in 1854, the younger son of Frederick Dan and Hannah Huntington. While he was a child his father, a Unitarian minister, converted to the Episcopal Church, and in quick succession was ordained deacon and priest, and then consecrated the first Bishop of Central New York. Fr. Huntington did not “found” the Order of the Holy Cross. It arose from a conversation he had with Fr. Robert Stockton Dod … They were joined by Fr. James Cameron. When the three of them began the Order’s life in the autumn of 1881, it was Fr. Dod who led the way in the formation of community life. It was Dod who consulted the experts in England, who wrote the first Rule, and who led them in the early days. [Yet] … just a year later, Fr. Dod entered into a cycle of chronic illness that turned out to be both emotional and physical. For the next year and a half, his illness was the constant backdrop to their community life, and Fr. Cameron left a year later, in October, 1883. By March, 1884, Fr. Dod had left as well, leaving Fr. Huntington alone of the first three. Alongside his activities within the Order, Fr. Huntington worked on the social plain. He became involved in the labor union and land-tax movements, and was later a founder of the Church Association for the Advancement of the Interests of Labor, as well as an early member of the Knights of Labor. He stood up with labor union organizers for workers rights, helping to establish the Episcopal Church’s involvement in social issues and ministries. It was before any Christian social action or Christian social service societies existed. Father Huntington was thus a pioneer. Source: The Episcopalians by David Hein and Gardiner H. Shattuck, Jr. In 1884 Father Huntington took his final or full vows, but four years passed since another monk joined him. The act roused tremendous controversy in the church about monastic orders and permanent vows. The opposition was led by the Presiding Bishop Lee of Delaware. They thought that there was no place in the Episcopal Church for monastic life. Many are still doubtful about the issue, yet the Order of the Holy Cross survived. In the 1890s the Order moved to Westminster, Maryland, and shortly after to West Park. The focus of Father Huntington’s ministry shifted then from social issues to building the order, whose members didn’t always share his great enthusiasm for social work and felt the need to concentrate more on spiritual life. Torn between two dimensions that constituted his vision, Fr. Huntington decided to stay with the order and work for its future, never changing his convictions about social matters and the importance of the church’s role in them, however. The cornerstone for the Order’s monastery, which now serves as its guest house, was laid in 1902, and the building was finished in 1904. Designed by Gothic-Revival Architect Henry Vaughan, it was the first building built for an Anglican religious order since the reign of Henry VIII. Father Huntington also founded a number of schools and a mission in Liberia. Huntington was Superior of the order for several non-consecutive terms and wrote its second rule in 1901. The rule “had a Franciscan flavor … it was also Benedictine in its monastic discipline.” (Fletcher J., ibid.) He devoted himself chiefly to preaching, teaching, and counselling until his death on 28 June 1935. We encountered the Order of the Holy Cross personally thanks to meeting its present superior, Br. 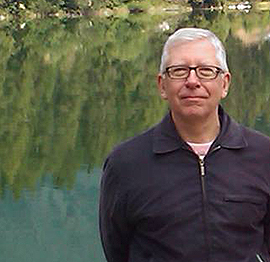 Robert Sevensky, who visited Poland at the turn of August and September. We wrote about this here. You can also find there basic information about the Order today. We stay in touch with Br. Robert via email – we usually write about the activities of the Polish Episcopal Network, and he about his work in the Order. We have to admit that both the Anglo-Catholic and Christian-socialist roots of the Order of the Holy Cross apeal to us very much. 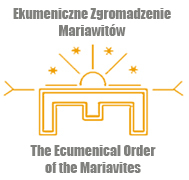 Who knows, if not for our membership in the Ecumenical Order of the Mariavites, and the distance to the order’s centres, we might have thought about becoming its associates. The distance doesn’t preclude union in prayer, however, to which we cordially encourage. This entry was posted in English entries and tagged Anglo-Catholicism, feast, Leftism, spirituality, The Episcopal Church. Bookmark the permalink.